For some time I have been collecting videos on Orthodox Christian monasticism in North America and from around the world. I’ve created a couple of special YouTube playlists to share these glimpses into the monastic way, and have set them up on a special Video page. Also included is the promo video for the North American Thebaid Photographic Pilgrimage Project, which will be widely distributed when we (soon!) launch the crowdfunding campaign to raise funds for the initial travel and photography to begin. Be sure to sign up for email updates, and watch for a special page on Podcasts and Audio features on monasticism coming soon, and a list of suggested books. WE HAVE THE PRIVILEGE of living in an age in which stone piled upon stone no longer remains. The last consequence of the values and and ideals exalted by Western society has been the disintegration of society. I consider it a quite positive and challenging fact to live in a culture in ruins. Those values and ideals were idols destroyed by the power of their own deceptive effectiveness. Now we have the possibility to begin anew with the enriching experience of the past. 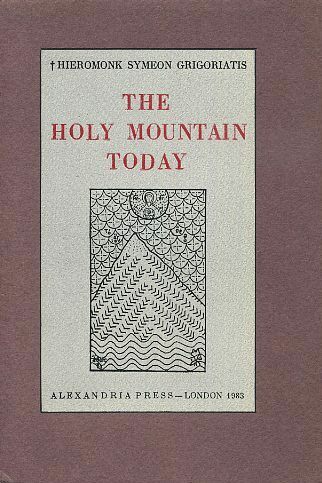 — Hieromonk Symeon Grigoriatis, The Holy Mountain Today, Alexandria Press, 1983.